I have proudly served our community since 1978. My goal is to provide the highest level of services to each and every client. I provide a full range of piano services, and I've earned a reputation as one of the areas finest tuners. I'll work with you to optimize your piano's performance so as to meet your musical goals. 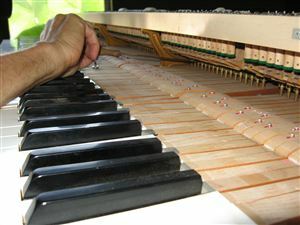 My extensive piano tuning and repair experience assures you of consistent top-notch service. I'm fully equipped to handle any tuning or repair job to your complete satisfaction. I provide written estimates, so that my fee is never a surprise. My purpose is to contribute to the beauty of the music you play, and to the quality and ease of your personal musical expression.